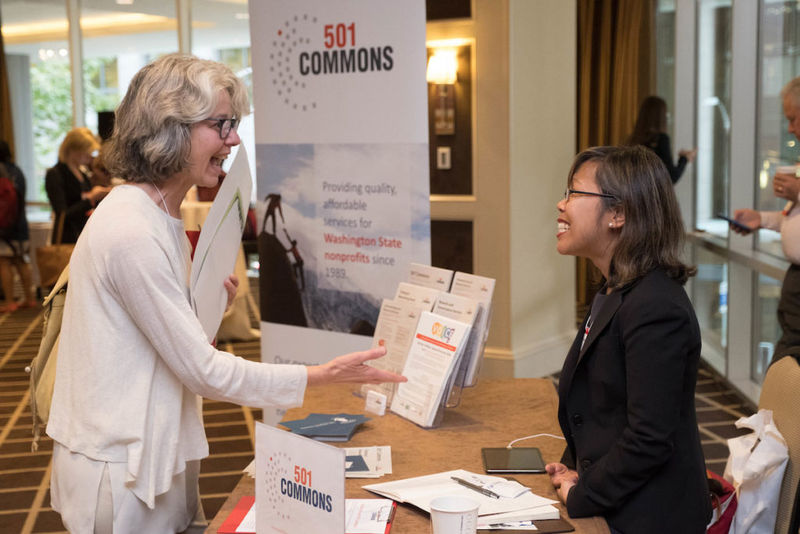 501 Commons provides more than 30 nonprofit consulting and support services to meet the needs of organizations of all sizes and subsectors. (Check out our clients.) Fill out our Request for Assistance Form to learn more. You can focus on your mission and let us handle the technical and administrative details by providing you with just the amount of IT support, database administration, finance, payroll, and human resources you need. How great is that? For project or consulting needs, you can contract with us for a wide range of technology and management of nonprofit consulting needs. Want to ditch your mash-up of databases? Need an emergency plan? Set your sights on developing a social enterprise to bring in revenue? Many services are made more affordable because of the involvement of pro bono consultants and support from our philanthropic partners. We also offer several action-learning programs to cohorts of organizations where you learn together while tackling your own organizational issues. Plus, we provide peer-learning opportunities and training for executives, staff, and board members. To learn more about how we work with nonprofits, visit the "Our Process" page. If you do not see what you are looking for, never fear. Soup to nuts...likely we can meet your needs or refer you to someone who can. Just fill out the Request for Assistance Form. Facts matter. When you are making your case to a donor, encouraging your top job applicant to take the job, or giving staff the tools they need to deliver high-impact programs, facts matter. We can help you get your facts straight, secure information you have gathered from volunteers, donors, clients and others, and tell more powerful stories. We can help you select a database, migrate from a current database to the new one or improve and maintain what you have. Request information and Robert will be in touch. All the details. Managed by a pro. Nearly 100 organizations have put their financials in hands of a 501 Commons accountant. Contact jenny@501Commons.org for more information about our Financial Services can improve your financial systems...and may even save you money. Looking ahead? Plan now to apply for the Plan IT program, next offered in Spring 2019. Having the right technology can power-up your mission and make your staff more productive. Contact Jim for more information. Whether you need board development, strategic planning, communications help or any other consulting service, we can provide you with expert - and affordable - consultants. We can develop and maintain your technology infrastructure, intranet, board portal, and database. Having the right technology makes staff more productive and protects your data. We also provide ongoing HR advice and assistance or human resources consulting services to help you care for your most important resource: your staff. We will help you manage your money while you manage your mission. We can do payroll, 990's and ongoing bookkeeping services. We also provide training for staff and boards and set up your financial systems and policies. Affordable convenings, learning opportunities, coaches, and executive advisors are available to provide nonprofit leaders with the support they need to lead effectively. Use our focused planning programs to strengthen your organization while learning from others. Thanks to our funders for making Plan IT, HR Toolkit, Springboard, Volunteer Manager Corps and Catalyst accessible to all! 501 Commons offers events and trainings designed to meet the needs of nonprofit professionals. If you are looking for space for board meetings, program gatherings, fundraisers and other important events in King County, please consider Pacific Tower! Did you know 501 Commons provides management consulting services on a sliding-scale fee basis? For over 25 years, we've been leveraging the experience and expertise of skilled professionals who volunteer as members of our Executive Service Corps. They complete clearly scoped projects, managed by our staff, and have contributed more than $10 million in services to nonprofits in our state.